User Management Resource Administrator was implemented to automate the account provisioning process, and Self Service Reset Password Management to allow students and employees to quickly and securely reset their own passwords. 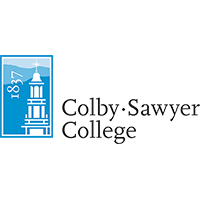 Colby-Sawyer College is a comprehensive baccalaureate institution that integrates liberal arts and sciences with professional preparation. The college was founded in 1837 in the Lake Sunapee Region of central New Hampshire and has grown and changed with the times and educational needs of their students. A recent part of this growth has been introducing distance learning and an online curriculum to their students. Introducing distance learning meant the IT department would have a shorter time window of provisioning student user accounts. Colby-Sawyer was manually handling account management and would batch process data, which was time consuming and prone to errors. With the introduction of distance learning, they had a requirement to quickly create and manage user accounts as well as ensure that everybody had the correct security settings. Also, the helpdesk was receiving numerous password related issues each semester and wanted a method to reduce the number of password related helpdesk calls. When evaluating vendors to solve their issues, Tools4ever stood out to Colby-Sawyer because of the cost efficient solutions and the expedited implementation timeline. They decided to utilize Tools4ever's User Management Resource Administrator (UMRA) to easily automate the process of account management and Self Service Reset Password Management (SSRPM) to allow faculty and students to easily and securely reset their own password. Tools4ever was able to quickly implement SSRPM and as well as setup and integrate UMRA with their student information system, Power Campus. For UMRA, Colby-Sawyer provided a database view for which UMRA now easily queries to create accounts. "Tools4ever's support is superb. We get what we need, and we get it quickly," said Lisa Windsor, Applications Analyst at Colby-Sawyer College. With UMRA in place, Colby-Sawyer only needs to enter new students or employees into Power Campus. UMRA then runs a query each night to check for new students and an account is automatically created, with an Exchange mailbox and email address. Faculty and Staff receive different permissions than students, so UMRA assigns specific group memberships in Active Directory depending on their roles. "UMRA is just a jewel for us. Having accounts created in near real time fashion has been a huge benefit to us," said Windsor. "UMRA is just a jewel for us. Having accounts created in near real time fashion has been a huge benefit to us." UMRA also easily disables and deletes accounts when students, or staff, leave the school. Windsor stated, "Accounts are automatically de-provisioned in a timely manner, rather than having to wait to get a notice, which can be a few days later. This has greatly improved the security of our systems." SSRPM has also improved security at the college by allowing students and faculty to easily and securely reset their own passwords without having to contact the helpdesk. They easily click the 'Forgot my Password button', answer their security questions and reset their password. "SSRPM has allowed us to improve security and have a more efficient way to deal with password resets," said Windsor. With UMRA provisioning accounts in a timely fashion, Colby-Sawyer has now been able to develop new technologies such as a student portal. UMRA will soon be used to add students to the new portal immediately when an account is created. "UMRA has allowed us to focus on new technologies and solutions to improve our school," said Windsor.